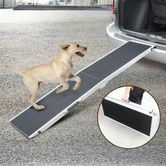 This Aluminium Large Foldable Pet Ramp with Non Slip Surface is perfect for helping your pets into cars. 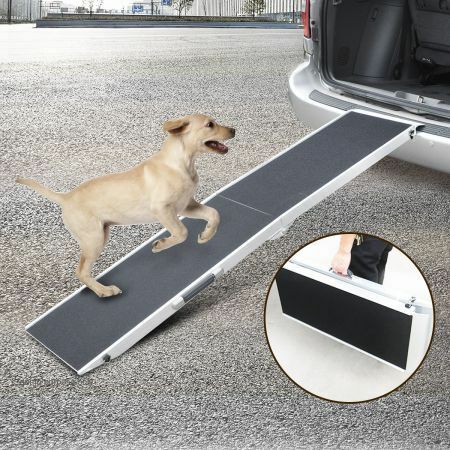 This sturdy pet ramp is ideal for little or old pets, helping them to access your vehicles easily and safe. Made of thick aluminium, the ramp supports up to 120kg. With the foldable design, it's so easy to carry and store. It also features a non slip surface to prevent your pet from falling and helps them get a better footing while entering and exiting your car. Aluminium Large Foldable Pet Ramp with Non Slip Surface. Open: 183cm x 38cm x 5cm approx. Folded: 91.5cm x 38cm x 12cm approx. Package Dimensions (L x W x H) 95cm x 14cm x 40.5cm approx. 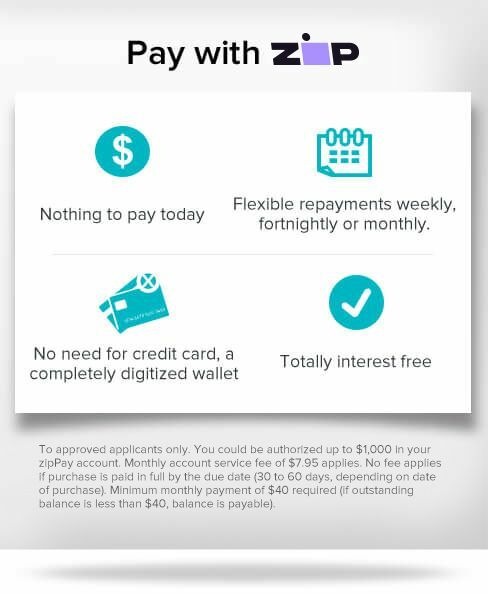 Definitely recommend Great item. Good quality.